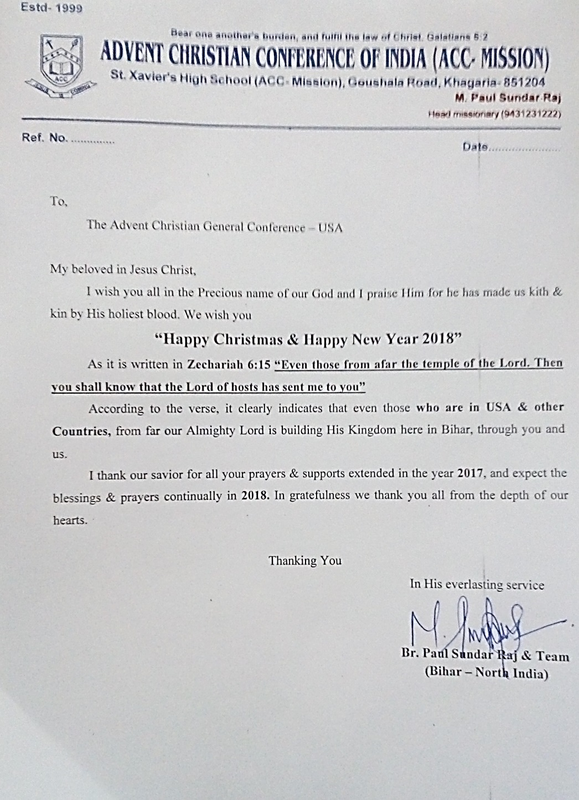 Pastor Paul Sundar Raj has sent the following letter of appreciation, with Christmas and New Year greetings from his team in Bihar. 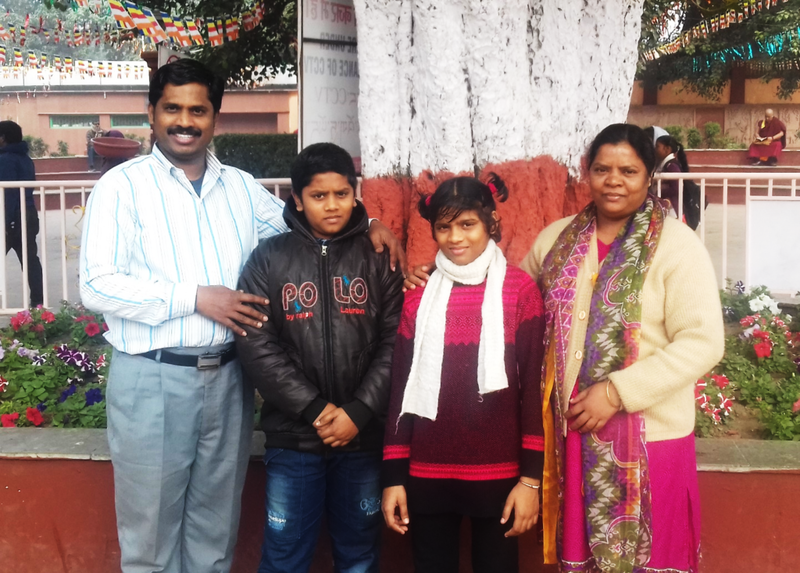 Brother Paul went to Bihar, in answer to a very strong call from God, in February 1999. He went there as a single man (alone and unmarried) and has been there ever since and his dynamic and God-centred leadership has brought the ministry to what it is today. What is it today? At the end of 2017, there were 11 churches with a total of 13 pastors ministering in them. There was a total of 2,000 members in the 11 churches, with 80 baptisms and 250 new believers joining the churches during 2017. 2,000 children attended VBS during the Indian summer and 17 infants were dedicated to the Lord during the year. They have 20 prayer cells attached to various churches, and during the year they distributed 300,000 tracts and 800,000 New Testaments. Finally, they sent 3 of their believers for full-time study for the ministry at GEMS (Gospel Echoing Missionary Society) BIBLE COLLEGE. St Xavier’s School – English Medium – which is the ministry’s major “bridge” into the community, and which now teaches well over 1,000 students each year, had 100% of their students who sat the Indian Government’s Standard 10 Board Exams pass, with 15 of them receiving 100% marks in every subject they wrote an exam! He has also sent pictures of the key members of his team both at St Xavier’s High School and of the outreach ministries, and asks for regular, believing prayer that the Lord will continue to use them all during 2018 to share the Gospel and the message of God’s love in Jesus Christ with the people of Khagaria. From Left to Right: Pastors Rajesh, Sathurdhan, Rakesh, Santhosh, Bipin, Dilkush, Sushil, Arjun Gabriel, Samuvel Templar, Deepak Kumar, Punidev, Lakhan and Saurav. 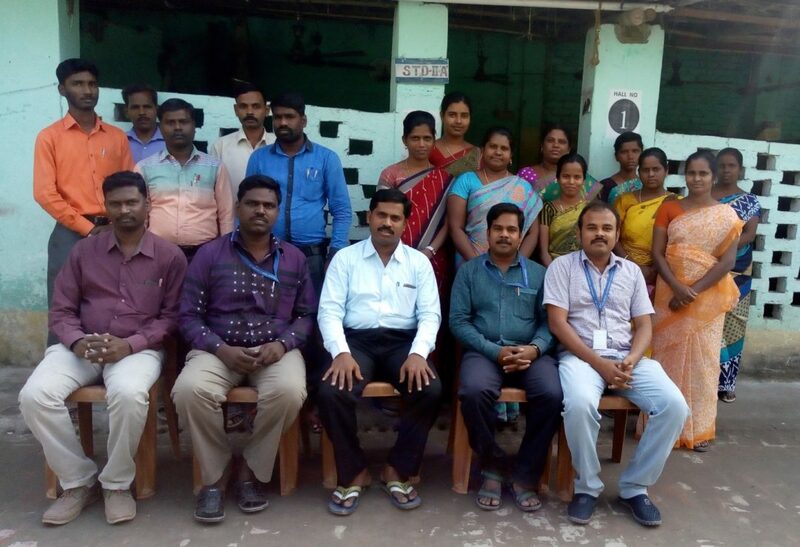 Teachers at St Xavier’s High School. Most of these teachers are Christians, many of whom have come from Chennai to Bihar as missionaries and have had to learn a new language. Please pray that the Lord will call more such men and women for service in Bihar. Left to right: Pastor Paul Sunder Raj, Willian Carey, Joanna, Paul’s wife Sudar Mathi. 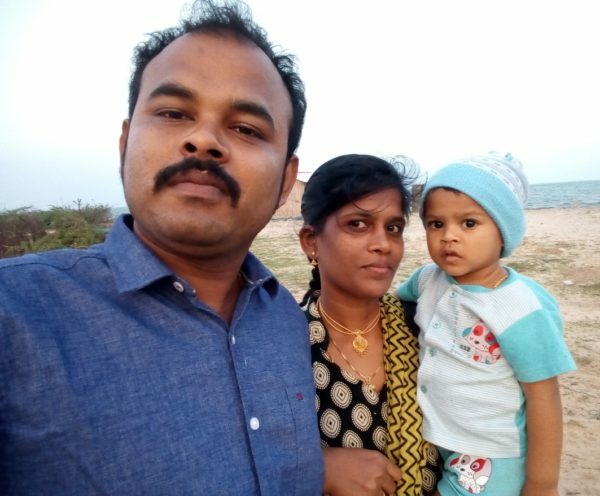 Pastor Denny Moses, who is Assistant Pastor at the Khagaria Church and looks after all communications for the team, his wife Briscy and their son Chris Judah.